The NBA's swift and decisive response to racist comments that a league investigation determined were made by LA Clippers owner Donald Sterling set off a process guided by the NBA's Constitution and bylaws. 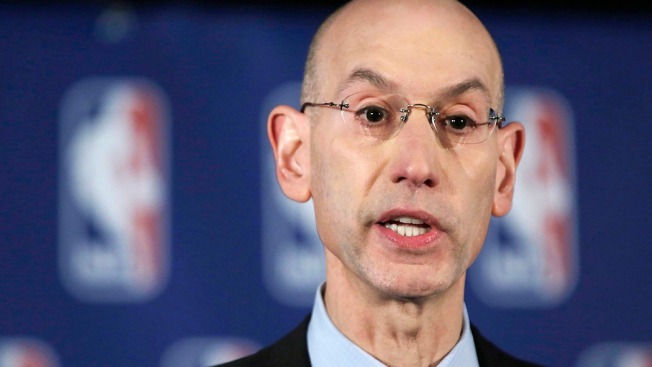 A day after, NBA Commissioner Adam Silver mapped out his plan – a lifetime ban from the NBA and a $2.5-million fine – to deal with the NBA's longest-tenured owner, the league announced its first meeting on Sterling's removal. A 10-member advisory/finance committee met to focus on the next steps in the removal procedure, guided by the league's 92-page Constitution and Bylaws. The committee is chaired by Minnesota owner Glen Taylor. Its members include Miami's Micky Arison, the Lakers' Jeanie Buss, Oklahoma City's Clay Bennett, New York's James Dolan, Boston's Wyc Grousbeck, San Antonio's Peter Holt, Phoenix's Robert Sarver, Indiana's Herb Simon, and Toronto's Larry Tanenbaum. The process will eventually require a vote from the league's 29 other owners on whether to force a sale of one of the league's most promising franchises. Silver said he is certain he has the three-fourths majority required from owners to force the sale. That vote is scheduled for June 3. Many owners issued statements of support for Silver after the announcement. No owners publicly defended Sterling, who admitted that the voice on a recorded conversation with companion V. Stiviano was his, Silver said. The man identified by the NBA as Sterling – who bought the Clippers in 1981 and became the longest-tenured owner in the NBA after the death of the Lakers' Jerry Buss in 2013 – criticizes Stiviano for posting pictures of herself with Lakers great Magic Johnson and Dodgers outfielder Matt Kemp. The comments, released by TMZ before Deadspin posted a longer version, harmed the league and warranted Sterling's termination, Silver said. Sponsors were threatening to abandon the NBA and steady criticism was coming from current and former players, civil rights leaders, politicians and others. The removal of an owner is addressed in Section 14 of the league's constitution and bylaws -- a document that details the procedure for termination and other league rules. The process begins with a charge filed against the owner, who then has five days to respond after receiving notification. Failure of an owner to respond to the charge is "deemed an admission... of the total validity of the charges as presented," according to the NBA constitution. Sterling issued his defiant response challenging the charge on May 27. The NBA commissioner can then call a special meeting of the Board of Governors to hear the charges. That meeting is "to be held on a date not more than ten (10) days after the filing of a Member’s or Owner’s answer." The Board of Governors can then vote on the charges. If the required number of owners vote for Sterling's termination, ownership would be transferred to the league. Once existing debts are paid, the team would then likely be sold. The ownership removal process played out under much different circumstances when the league bought the financially struggling Hornets from then-owner George Shinn. The franchise was sold less than one year later. The commissioner indicated the ban applied only to Sterling and that there had been no discussions about whether he could sell to a family member. Sterling's estranged wife, Rochelle, has been closely involved with the franchise for years and she was surrounded by six bodyguards at Tuesday night's playoff game against the Golden State Warriors. The team has struggled in the shadow of the Lakers for decades, but has climbed from incompetence to Western Conference contender with the addition of young stars Blake Griffin and Chris Paul, and the hiring of coach Rivers, who called Silver's decision the start of a healing process.